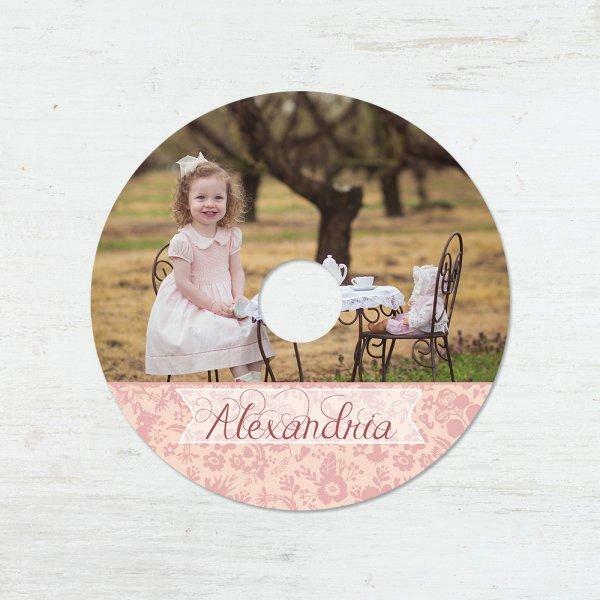 CD Label Templates - Choose From Custom made Designs! Crisp and well designed Labels for your CDs. Perfect for those photographers who want to add a personal touch to their business. Every template can be personalized in a matter of minutes in Photoshop. A trendy way to store your session files, thanks to this CD Label Template for Photoshop. 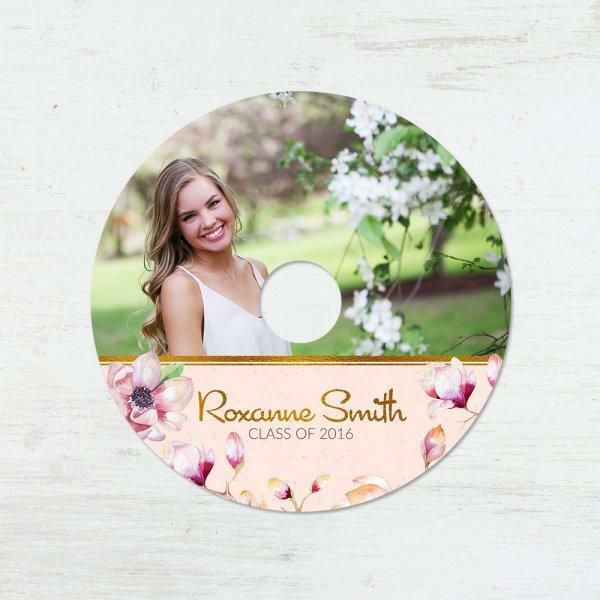 Give your shooting sessions the delicate touch of a girly CD Label template for Adobe Photoshop. Looking for a CD Label template for your wedding event? Then don’t go any further! The perfect companion for keeping a backup of your Graduation Day photographs. Lovely pink tones to be part of your journeys as a professional photographer! Photography has been one of the most important arts especially when it comes to the capturing and preservation of the best memories. There is always a warm feeling stirred up when we are perusing through our old albums and copies of photos taken during our childhood year or moments where we were celebrating our achievements in life including weddings and graduations. It is worth noting however that things have been changing and people are moving away from massive paper printing, instead opting for digital storage including CDs and DVDs. As such, you can now store your photos in a CD and ensure that they are safe and also presentable. Whether you are in photography business or just want to preserve your pictures in a CD, there is a way you can do it professionally and ensure they are clearly marked using CD Label Templates. 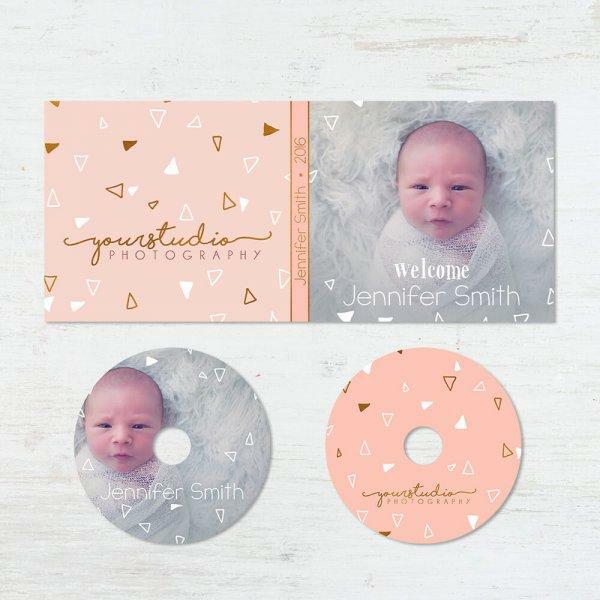 The templates not only help guarantee that CDs are clearly labeled but also give them a professional look and feel especially if you need to deliver them to your clients or family and friends. The CD Label Templates are a great way of preserving all your bookings with a unique style. 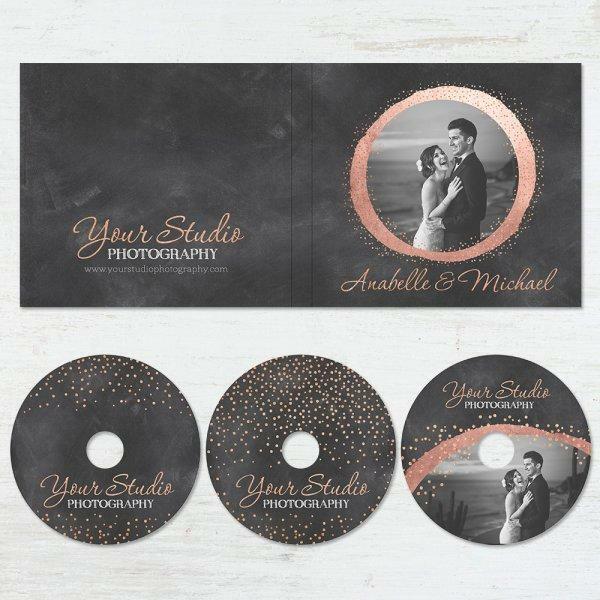 The label templates have different themes and come in a delicate design thus giving you a unique way for you to backup all your photography work. 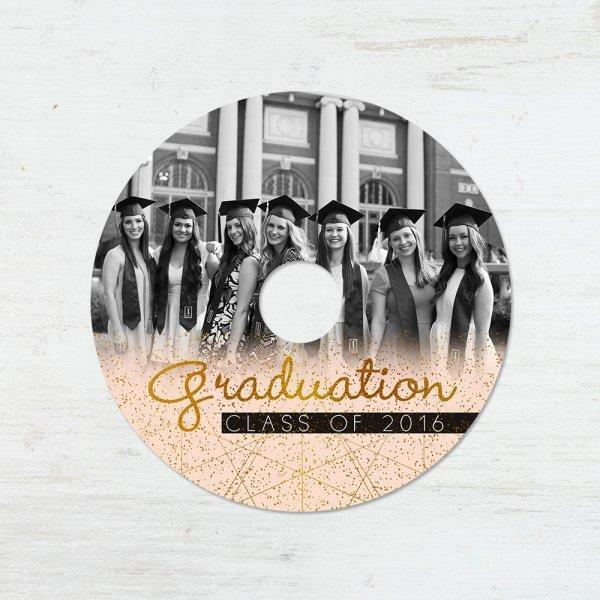 There are different types of CD Label templates designed for different occasions and those joyous moments that you spend with your family and friends celebrating something memorable. Amazingly, these templates for CD labels only require a simple installation and you can completely edit them as you wish in Adobe Photoshop. Why do I need to use CD Label Templates? When we deliver a work to our customers, on several occasions we are requested, in addition to the printed album, to deliver the backup of the work in digital format; and while it is not our intention to present images in RAW, it is necessary to deliver a backup of already processed photographs since, among many reasons, more than one family member may be interested in printing some of the photographs presented in the work on their own. As with all work to deliver, quality and style must set a trend, so giving away a simple CD or DVD, handwritten, would leave us in evidence as amateur photographers... So what if we use templates with some of the best photos of the session to give a beautiful presentation to our work? It is here where are born the CD Label Templates for Adobe Photoshop. One of the greatest advantages of using these CD Label Templates is that they help you save on cost. Considering their ‘one-off’ price, you will always be able to print on different CD stickers using some of the major pro labs including MpixPRO, WHCC, and Miller’s among others. This guarantees that you not only get the best prices but you are assured of quality results which can stand the test of time. Every time you have a photography event, you can easily edit and upload the photos of your clients before printing on the CD for that professional touch and delivery. CD Label Templates always have a unique way of exhibiting your professional work. With the templates from Sleeklens, you can always add that personal and professional appeal to all your photography back up thus communicating to your potential customers on what to expect from you every time they use your services. There is always something you communicate when you deliver an album and already processed digital files in a neatly labeled disc. Among the many benefits offered by the use of these label templates, durability stands out as one of the most significant. Mostly, these labels can last for many years without losing their appeal especially when done rightly. You can enhance the durability of the labeled stickers by making sure that those you buy are of high quality and the adhesive is strong. As mentioned earlier in the post and also in the product description, the CD label templates are easily editable using Adobe Photoshop. They are normally compatible with Photoshop CC, Photoshop CS+, Photoshop 4-6 and Photoshop Elements 6+. You can therefore change the font styles, background colors and font colors to suit your clients’ preference. Considering that the templates come with customizable layouts and formats, you can always change what needs to be changed to fit your style well. 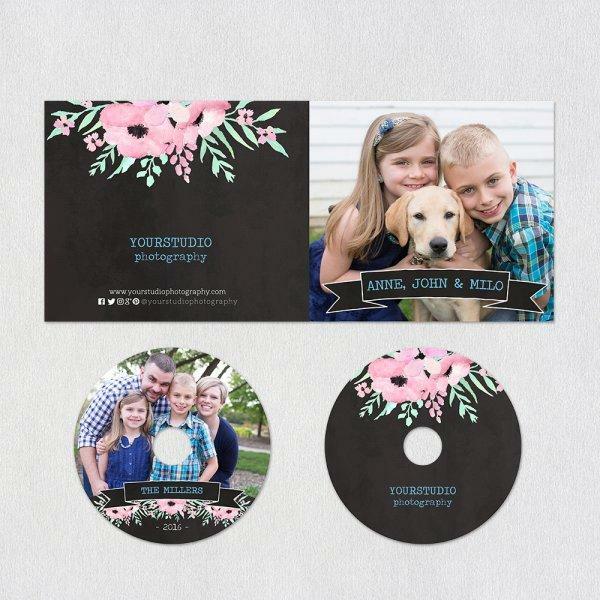 Either for a children's album, engagement photo, or whatever intimate session you can think of, this trendy CD Label Template can set a unique style to the work you plan to deliver.